Campbell Close is located within Shooters Hill, a London suburb boasting one of the highest points in London, with breath taking views over The City. Part of the Royal Borough of Greenwich, the immediate area is home to a vast variety of open green . 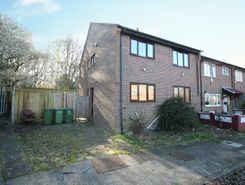 ATTRACTIVELY PRICED - Deceptively Spacious - Ideal for Families - Four Bedrooms - Close to Local Amenities - Good Transport Links to London - Front and Rear Gardens - On-Street Parking. Property marketplace TheHouseShop.com have been helping consumers letting, renting, buying and selling houses online and have gathered detailed knowledge of the Shooters-Hill in Greater London property market allowing users to save money along the way. Property website TheHouseShop is unique in the UK property market as it is the only place that accepts listings from homeowners and professionals, so visitors will find properties available for sale and to rent from traditional estate agents, online-only agents, private landlords, private sellers and property developers. Sellers using TheHouseShop can choose to advertise their property themselves, or compare local and online-only agents to help sell their property for them. Homeowners in Shooters-Hill in Greater London can use TheHouseShop.com to advertise their property to thousands of buyers for free – saving thousands of pounds in the process. Private house sales are popular with Shooters-Hill in Greater London homeowners who have been using the internet to sell property online for many years now. Homeowners using TheHouseShop to sell their property privately can book a free professional property valuation from a qualified local expert to help them ensure that they have priced their property in line with current Shooters-Hill in Greater London house prices. Private sellers and landlords can generate more interest from buyers and renters by using TheHouseShop's marketing boost options. Homeowners in Shooters-Hill in Greater London can use TheHouseShop.com to find thousands of potential buyers and tenants and connect with them directly to save both time and money. 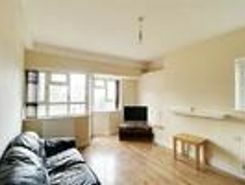 TheHouseShop.com is the best place for homeowners and landlords in Shooters-Hill in Greater London to sell or let property online. Local estate agents in Shooters-Hill in Greater London also use TheHouseShop.com to find great quality tenants and buyers for their properties by advertising all their listings for free on the website. If you are looking for property for sale in Shooters-Hill in Greater London, TheHouseShop has a huge selection of homes available to buy including flats, apartments, detached houses, bungalows, maisonettes, terraced houses and more. TheHouseShop is the only property website to display property listings from professionals and individuals, so you won't find their Shooters-Hill in Greater London properties on websites like RightMove and Zoopla which only show estate agent listings. Make sure you visit TheHouseShop during your property search and don't forget to set up a free property alert to find thousands of unique new homes updated daily. If you are looking for an estate agent in Shooters-Hill in Greater London, TheHouseShop can help you compare the best local agents in your area to sell your home quickly and achieve the best possible price. Millions of home hunters come to TheHouseShop.com each and every month looking for property for sale in Shooters-Hill in Greater London and the surrounding areas. TheHouseShop also deal with properties in the accessible and adaptable homes market and home hunters can find a range of accessible housing options for sale in Shooters-Hill in Greater London. Some of the largest and most established property developers in Shooters-Hill in Greater London use TheHouseShop to market their accessible and new build properties for sale. Buyers can use TheHouseShop to find a huge selection of affordable homes for sale. Buyers looking for affordable homes can find a variety of new homes for sale in Shooters-Hill in Greater London available through Shared Ownership schemes. TheHouseShop's free online valuation tool allows buyers to get an estimated house price value for any property in Shooters-Hill in Greater London and make sure that they pay the right price for any property they are interested in. TheHouseShop is here for everyone and anyone who wants to buy, sell, rent and let property in Shooters-Hill in Greater London, so don't miss out and visit us today!